Have you ever implemented a new system that turned out to be a complete disaster? Perhaps the hardware failed or the software was too difficult to use. Maybe it created a bottleneck in your processing power, and reversing the damage was more costly than reinstalling the original system. Now imagine if you could roll out a new product or system on a test server before implementing it completely. NSC Information Technology Group offers virtualization services that can help you dramatically change the way you manage and deploy IT resources. There are three main areas involved with virtualization: network virtualization, storage virtualization, and server virtualization. Each one of these serves a different purpose, but all can be used to improve your business. Network virtualization masks the complexity of your network and divides the available bandwidth into individual channels. These channels can then be reassigned to where they are needed in real time, allowing you to optimize bandwidth and functionality. Network virtualization helps make the network more manageable by partitioning it into separate parts. Storage virtualization is similar to the cloud in many ways. It gathers storage from multiple network storage devices into a single, centralized management area. This makes it easier to manage storage across multiple drives while optimizing their efficiency. Server virtualization helps to simplify usage of the server for individual users. This allows them to better share resources and data without the need to understand what is happening behind the scenes. Server virtualization can emulate servers that do not actually exist, allowing for testing of new products or services before they go live. Combining all of these aspects of virtualization helps to reduce administrative workloads and improve the potential scalability of your company. Because the processes take place on a virtual server, it is possible to emulate multiple operating systems and scenarios without the need to purchase physical hardware. Virtualization is a complicated process used to optimize other complicated processes. Because it utilizes your network in a way like never before, your network security must be top-notch to prevent vulnerabilities. NSC Information Technology Group can handle all of your IT outsourcing needs with a dedicated team of experts that understand every aspect of implementing and deploying virtualization and network security. Our network support team will set up the processes required and keep them running at peak efficiency. We also offer IT consulting to help you determine the best use of virtualization within your company. If you know virtualization is necessary but are not sure how to integrate, we can map out the planning and implementation process. 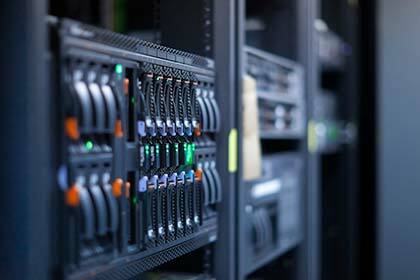 When it comes to managed IT services like virtualization, it is best to have experts available. Contact NSC Information Technology Group today.